To repair a bad micropigmentation treatment, it is often a case of removing the defective treatment using a laser. Skalptec is one of only a handful of clinics worldwide to offer laser removal on-site for this very purpose. Scalp micropigmentation is a great solution for anyone who doesn't wish to pursue drastic and invasive forms of hair restoration such as hair transplants or wigs. It's a technique that will camouflage the effects of pattern balding for both women and men. Scalp micropigmentation, or SMP as it's also known, is a revolutionary procedure that provides a patient with a solution when they are suffering from the undesirable effects of hair loss. During the procedure, pigments are used which are administered via a digitally controlled needle at epidermal level which, in turn, recreate the appearance of a natural hairline. It's a procedure that is similar to tattooing, yet there are marked differences that make scalp micropigmentation a completely different discipline versus getting inked in the regular way. 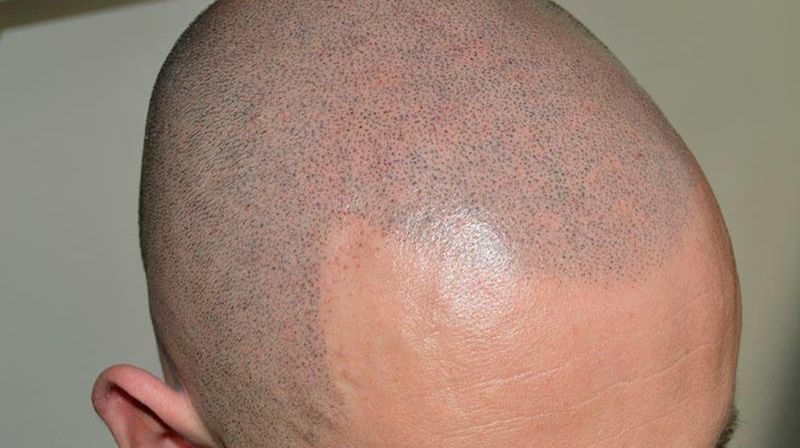 One of the predominant problems with scalp micropigmentation technicians is a lack of experience. This causes them to treat the process like a tattoo or permanent makeup procedure, leading to serious issues with the end result. Discolouration, usually resulting in a blue hue. Oversized deposits that will never blend with real hair. Pigment migration, causing a 'fried egg' effect under the skin. Unnatural hairlines that look 'drawn on'. Loss of individual dot definition due to poor deposit spacing. 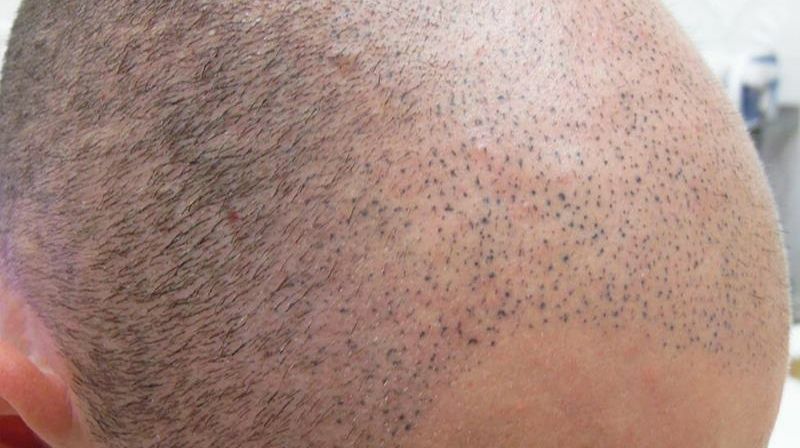 'Tracks' caused by the use of micropigmentation roller products. Amazingly, there are many self-proclaimed scalp "practitioners" who have had little hands-on experience. Even more alarming, it may well be a "skill" that they've acquired via web-based training and received absolutely no hands-on experience at all. When choosing a scalp micropigmentation clinic, it's vital to clarify that your technician is fully qualified, follows relevant hygiene procedures and that their equipment is fully up-to-date and clean. Additionally, avoid at ALL costs using any poorly trained permanent makeup artists or tattooists. The process of scalp micropigmentation is considerably different to that of regular tattooing. The needle is penetrated to a different depth, the pigments used are not the same and it's a precise science that requires a professional hand. The results, should it not be performed correctly, can be disastrous. What if you've had a bad treatment? We are usually able to assist those who need it. For specific advice please contact our team, so that we can discuss the most appropriate course of action to create the look you were aiming for. Call our team today on 0845 625 0025 and book yourself in for a consultation, a member of our team will be able to give you more information on the prodecure and answer any questions that you may have.